This video never gets old. I have no words other than please watch and ponder. Bill O’Reilly is one of those people who makes me want to throw up. Up until a few years ago I tuned into his nonsense when needing a laugh or reminder of how divided society has become. All that changed the day my son entered the room and thought I was watching a skit on the Comedy Network. 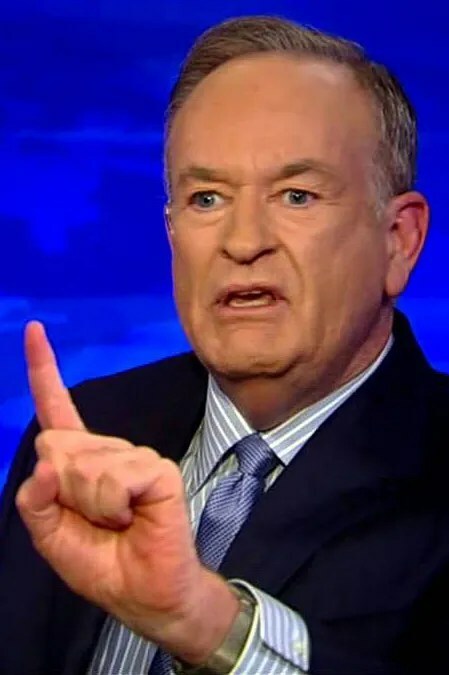 Assuring him O’Reilly was for real collided with my son asking why I didn’t change channels – he was right of course, I turned him off and began to ponder the reality of O’Reilly’s poison. O’Reilly epitomizes bone headed logic. He’s the poster boy for right wing gobbly gook , the head of a massive fundamentalist snake devouring common sense. The man spreads misinformation designed to bolster panic stricken Christian voters into believing Obama is evil and only God can save America. Never lost for smug jabs, complete with his brand of sneering disapproval for concepts of tolerance, inclusion, or middle ground. O’Reilly cares little for truth – it doesn’t matter that his inflammatory declarations are continuously proven wrong. Millions hang on his every word – people who care only for “truth” fitting their constipated minds. I can’t stress enough how little I care about another person’s religious view. That said, Christian hot heads intent on rabid condemnation, dangerous muck raking and hamster wheel logic make me bristle. Perhaps the reason, my one O’Reilly guilty pleasure is watching Bill Maher have a go at him. Maher barely has to say anything before O’Reilly’s righteous high ground disintegrates into that of a blithering school yard bully. This video spot lights the horror and reality of pompous right wing thinking. I laughed out loud when Maher asked O’Reilly why Christians only liked the happy half of the bible.